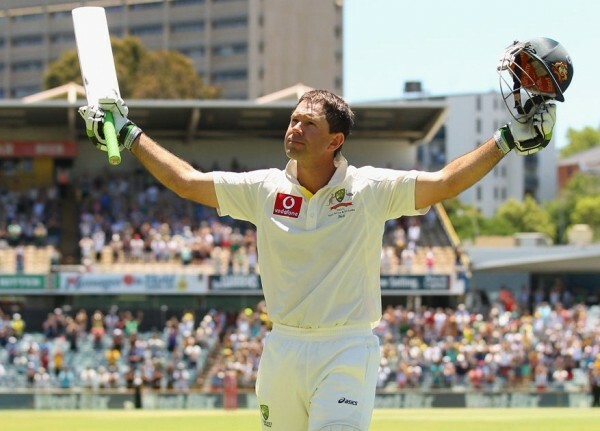 One of the most successful captains of Australia, the second highest run scorer in Test cricket and an elegant batsman, Ricky Ponting, has retired from international cricket. Ponting entered the field with his willow last time in the second innings of the third and last Test against South Africa on Monday, December 3, 2012. The match was played at Western Australia Cricket Association Ground, Perth, and Ponting got a guard of honour from the entire South African squad. He came into bat when the home team was fighting for survival in the deciding Test after losing the second wicket off Shane Watson at 81 runs. The 37-year-old occupied the crease for 39 minutes, he faced 23 deliveries and managed just eight runs before losing his wicket. The Kangaroos went on to lose the match with a big margin of 309 runs and lost the series 1-0. The greatest batsman of his era started his journey in the longer version of the game at the same venue vs. Sri Lanka on December 8, 1995. He initiated his career under the leadership of Mark Taylor and scored 96 runs on debut as Australia won that game by a huge margin of an innings and 36 runs. He never looked back after that and created a lot of records during his entire career. He was born on December 19, 1974, in Launceston, Tasmania, a right hand top order batsman and right arm medium fast bowler. He has played for Australia, Tasmania, Kolkata Knight Riders, Somerset and ICC World XI. 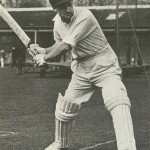 Ponting was the most prolific scorer, he preserved all possible cricket shots in his armoury and never got afraid of any type of bowling all across the globe. Ponting started playing first class cricket as a teenager of 17 for Tasmania and with his brilliant promise he appeared for the national side at the age of 20. He has been an agile fielder especially in the slip cordons and at any close in position. 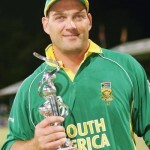 The right hand batsman made his debut for Australia against South Africa on February 15, 1995, at Basin Reserve, Wellington, in the One Day International. He played 375 matches and smashed 13704 runs at a high average of 42.03, the best of 164 with 30 hundreds and 82 half centuries. The master blaster took part in 168 Tests, hammered 13378 runs at an excellent average of 51.85, the best of 257 comprising 41 centuries and 62 fifties. He just played 17 Twenty20s and managed 401 runs at an average of 28.64 runs, the highest of unbeaten 98 with two fifties. Below, we will highlight the achievements of Ricky Ponting during his international cricket career which lasted for nearly 17 years. 1- 42nd Test captain of Australia. 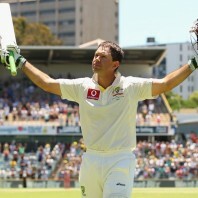 2- The most triumphant captain ever in the history of Test cricket with 48 wins off 77 games. 3- He equalled the record appearances for Australia with Steve Waugh by taking part in 168 Tests. 4- Second highest run maker in Tests after Sachin Tendulkar (15562) by plundering 13378 runs. 5- Second highest run achiever in the ODIs by amassing 13704 just behind Sachin Tendulkar who has punched 18426 runs. 6- Marshalled the Kangaroos troops 34 times successively in the World Cup matches. 7- Australia lifted the ICC Cricket World Cup twice under his leadership in 2003 and 2007 consecutively. 8- Second batsman to score highest centuries in the Test (41) and ODI (30) following Sachin Tendulkar who piled up 51 Test and 49 ODI tons. Tears came out of the eyes of one of the greatest ever cricketers produced by Australia in his post match press conference and he thanked his parents and his wife for their sacrifices during his career. The services rendered by Ricky Ponting for his country will be remembered forever in the history of the game.